Synopsis: Half Bad by Sally Green is a breathtaking debut novel about one boy's struggle for survival in a hidden society of witches.You can't read, can't write, but you heal fast, even for a witch.You get sick if you stay indoors after dark.You hate White Witches but love Annalise, who is one.You've been kept in a cage since you were fourteen.All you've got to do is escape and find Mercury, the Black Witch who eats boys. And do that before your seventeenth birthday.Easy. Publishers have been searching for “the next Harry Potter” for years but finally a worthy successor has been found in Sally Green’s Half Bad – and one that, whilst it shares themes with that Great British export, is also its own superb story. Some of the links between the two are easily made – from the premise, which sees the world populated by Fains (basically muggles), White Witches and Black Witches (yes, the symbolism is heavy handed but I don’t think that matters) and governed by a sort-of Ministry of Magic. However, Half Bad most definitely isn’t a remake of the Potter books, and whilst it carries similar elements, the way in which Green executes them is vastly different; for a start, the magic in Half Bad feels far realer and less jiggery-pokery. It’s a little edgier, losing some of the more fantastic elements and crucially, the wand waving, replacing it instead with “Gifts” that are endowed on young Witches when they undergo the “Giving”. Less subtle, perhaps, is the witchy racism introduced between the White and Black, the severity of which (excuse the pun) is caught somewhere between the genocidal oppression of Hitler’s reign and the unpleasant racism of pre-civil-rights-movement America. At this stage, the Black witches are presented as an unfairly persecuted faction discriminated against for hereditary reasons rather than their life choices, though there is a heavy whiff of Old Testament vengeance and feuding, especially amongst Black Witch families (they all seem to kill each other). It’s into this world that Nathan is born into, a world deeply divided and which takes no prisoners (technically incorrect; it does, they just all die). Nathan, the (effectively) orphaned son of a White mother and a Black father, faces increasing discrimination at the hand of the Council of White Witches for being a Half Code, but more than that, for being the son of the greatest Black Witch of all time. As his 17th birthday swiftly approaches his life will either be snuffed out or extended, depending on whether he will be able to access a Giving ceremony in time. It’s not hard to see why Half Bad is already a successful novel, having sold to more than 27 countries even before its publication date, and one of the most attractive components of the novel is the prose itself. Told in first person for the most part, several sections dip into second person, with intriguing and unusual effect. 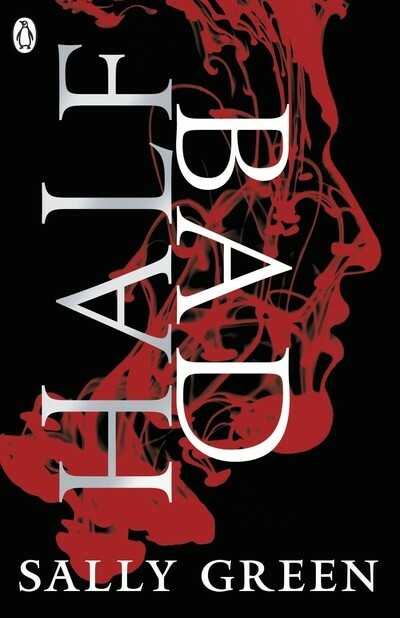 Half Bad is beautifully written and part of the appeal is Nathan’s dynamic narrative, which reaches from childhood bullying to teenage imprisonment, as well as Green’s voice which is particularly powerful. In that regard, Half Bad is even better than all the recent YA blockbusters. It’s not just Green’s ability to write well that makes Half Bad such a cracking tale. Much like J.K. Rowling, Green has an eye for characters and the novel is populated by a crowd of lovable, detestable and engaging characters. This is partly achieved by presenting the characters – whether protagonist or antagonist – with both positive and negative qualities. Partly responsible, too, is Green’s eye for idiosyncrasies, showcased in the brief appearances by Bob, a wise old man with a painterly twist and Celia, the Council-employed guardian over Nathan who, whilst she works him hard, is a blessing in disguise. The only character worth highlighting for her lack of depth is Nathan’s love interest, Annalise, who appears only briefly. But then; it would be unfair to expect all the characters to be fully rounded, particularly at this early stage in the series, and I look forward to seeing where Green takes her compelling cast. What did you think about Half Bad? Thanks for the amazing giveaway!! I want to read this book so bad! Great review! You made the book sound really interesting, I’ll definitely have to find a way to read it, even if I don’t win the giveaway. I can’t wait to read this book and I really love the cover. The fact that it is set in England makes me want to read it even more!!! I’m interested to see how this take on witches is a worthy read. It’s hard to follow up to Harry Potter in any form, but this is intriguing enough to try!